Understanding the Statutory Limits for your car accident claim: the money will run out! If you’ve been hurt or injured in a car accident, wouldn’t it be nice to recover $5,000,000 or $10,000,000 or even $50,000,000 for your injuries? The answer to that is a resounding “YES” from accident victims and injury lawyers alike. This would be amazing! Unfortunately, the laws for damages in Canada, and in Ontario don’t make it very easy for you to recover damages in the tens of millions of dollars. But Brian, how can you put a limit on my pain and suffering after a car accident? I’m really hurt, and my life has been a nightmare. The Supreme Court of Canada, in a trilogy of 3 cases has but a cap on the limits for pain and suffering at around $310,000-$322,000 (depending on inflation rates). So, the most money a Court could award you following your car accident case for your pain and suffering is limited to around $322,000. This max only goes to the most seriously injured of persons who are taking the most serious of pain medications, anti inflammatory medication and who are receiving the very best in treatment. Let’s assume that the driver that hit you had policy limits of $1,000,000. That means that the at-fault driver’s insurance company will only be on the hook to pay $1,000,000. The rest will have to come personally from the other driver. If that other driver is dead broke, has no assets, or their house has 3 mortgages on it, collecting that money above the $1,000,000 policy limit will be a nightmare. You may be entitled to more money from the under insured provisions contained in your standard automobile policy, but it all depends on the facts. There is additional money which can be recovered for accident victims in Ontario following a car accident. This money comes from the accident benefit/no fault system of insurance which we have in place in Ontario. Since September 1, 2010, the limits on what benefits you can claim, and how those benefits are claimed has changed significantly. Before September 1, 2010, non-catastrophic accident victims were entitled to up to $100,000in medical and rehabilitative benefits, up to $72,000 in attendant care benefits, and up to $10,400 in housekeeping and home maintenance benefits. Sometimes, insurance companies would lump out, or enter into all inclusive and full and final settlement to resolve these matters. Settlements were based on the at play at that time. So, before September 1, 2010, an insurance company could not settle a non-catastrophic attendant care claim for over $72,000 (exclusive of interest), because the limits under the SABS provided that after $72,000, the insurance company would not be responsible to pay out any more money. My point is that insurance companies cannot pay out on claims which are outside or which exceed their policy limits. You cannot arbitrarily make up figures which exceed what that Statutory Accident Benefit Schedule or the Insurance Act has provided for. Since September 1, 2010, the limits for non-catastrophic accident cases have been slashed in half by Ontario government (nobody realizes it until it’s too late). Your $100,000 in medical and rehabilitative benefits have been slashed to just $3,500 for victims with soft tissue injuries, or $50,000 for other accident victims. Your $72,000 in Attendant Care Benefits have been slashed to $36,000 and must now be “incurred expenses“. This means that you must actually pay for a care provider out of your own pocket after you’ve been in an accident. Imagine that. You can’t work, can’t clean, can’t get out of bed, and you’re magically supposed to pay a caregiver $1,500/month in real money to look after you. This $1,500 is on top of the fact that you have a mortgage to pay, mouths to feed, bills to pay, taxes to pay and debt to service. The elitists who thought up that change to the SABS should be hanged, but I’ll save my disgust for another day. Do you really think that a constituent went to see their local MPP and said “you know what’s wrong with our system of insurance…insureds need to show that expenses are incurred...” That NEVER happened, but the change is there for everyone to deal with, rich and poor, young and old, homeless, mothers, fathers etc. Nobody wins except insurance companies. But I digress. The limits for catastrophic medical and rehabilitative benefits are $1,000,000 under the SABS. But, if an insurance company has already paid out $350,000 in medical and rehabilitative benefits, that leaves the accident victim with a pot of just $650,000 to claim from. And an insurer will never pay out the full value of that pot as they’re under no obligation whatsoever to lump out an accident benefit settlement. They will seek a discount, and the figures need to be “present valued”, which is a fancy economics terms meaning that this money will be discounted even further. The limits for Attendant Care benefits in Catastrophic Cases are $1,000,000. But, if an accident victim has received $300,000 in attendant care benefits, that leaves just $700,000 in attendant care money left over, or for the insurance company to pay out on. The insurance company will again seek a discount for paying out all of that money in a lump sum, and the money again needs to be discounted again for present value. Either way you cut it, the mathematics and the limits set forth by the legislation can significantly reduce an accident victims dreams of a billion dollar recovery. There are some cases where the policy limits are greater, and there is access to more money. For instance, anyone can pay around $5-$7/year to increase their policy limits from the standard $1,000,000 up to $2,000,000. The same can be done to increase income replacement benefits from $400/week to $800/week. The same can also be done to increase the availability for attendant care benefits etc. All you need to do is speak with your insurance agent or directly to your insurance company. But nobody really thinks about doing that sort of thing except for paranoid people, personal injury lawyers, and people who work in the insurance industry. The rest of the population focuses on buying more fun things, like I-PADs, Bluetooth headsets and goldfish. Any accident involving a transit company like the TTC, a railway like CN Rail, or a commercial vehicle/trucking company will often see greater policy limits than the standard $1,000,000 limits. Their limits are usually $5,000,000 and sometimes $10,000,000. But just because the limits are that high does not mean that the claim will reach the limits. It all depends on the nature of the accident, the severity of the injury, the income lost, and the future care needs of the accident victim. So, while I’d love to tell every new client who comes through the doors of my law firm that their case is worth hundreds of millions of dollars, after you look at the law, and do some simple math, you will soon understand that these figures are unrealistic. In some cases, getting millions is certainly plausible, but all cases present their own unique challenges which need to be overcome. To add to that an aggressive defense from the lawyers at the insurance company who will send you to their quack doctors for looney medical assessments, surveillance conducted of accident victims to leave doubt in the minds of a judge or jury that the accident victim is a liar, a faker, a cheater and a malingerer; along with a legislative scheme in the deductible and threshold which is designed specifically to eliminate claims makes suing in Ontario very challenging. This is why it’s important to get a good personal injury lawyer. 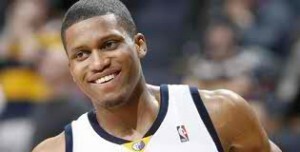 Thoughts on the Rudy Gay trade to Toronto? I’m looking forward to seeing him play in a Toronto uniform. After all, we could have drafted him back in 2006. We opted for a different guy instead who has yet to impress any. I’m just glad to see Toronto get a legit 3 guard instead of this experiment we’ve seen all season long. I’m an AA fan. We just can’t expect him to do too much. We had to give up a lot to bring Gay to Toronto, but I think it will be worth it in the long run.